POSTED: Mon, 06/05/2017 - 11:00 | POSTED BY: Traci C.
What's your favorite sweet snack at the Studios? We love dining at Mama Melrose's Ristorante Italiano (that steak with mac and cheese) and you can't go wrong at 50s Prime Time Cafe. 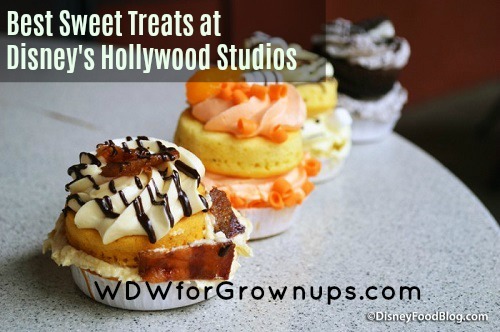 But today we're going to check out some of the top sweet treats you'll find when you visit the Studios. 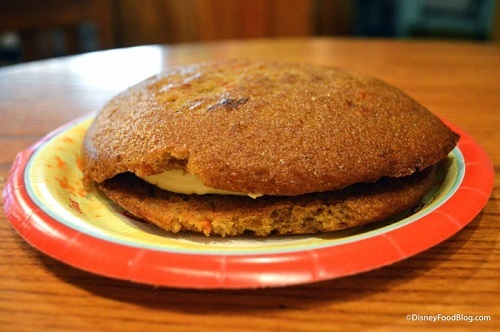 First on the list of must-have sweets at the Studios is the almost world famous Carrot Cake Cookie. You used to find this snack at The Writer's Stop, but that spot is closed forever now so you'll need to stop by Sweet Spells for your cookie fix. Carrot Cake Cookie is a must have! The Carrot Cake Cookie is two super soft carrot cake cookies with cream cheese frosting nestled between the cookies. It is heavenly. Next up are the Whoopie Pies at Sweet Spells. Disney has recently started serving Whoopie Pies at several spots around property, but we love the variety at Sweet Spells. 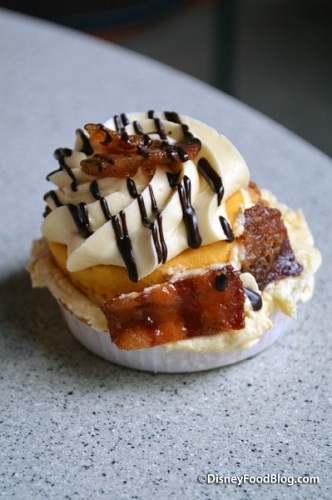 You'll find Maple Bacon, Cookies and Cream, Orange Cream, and more. The flavors will vary by season, but they're all worth the calories! Gotta try a Whoopie Pie! Our next must-have treat is a sweet and savory meal, but one you really need to try. We're talking about the Dark Side Chicken and Waffles available at Backlot Express. This is more of a meal than a snack, but it's still on the list. 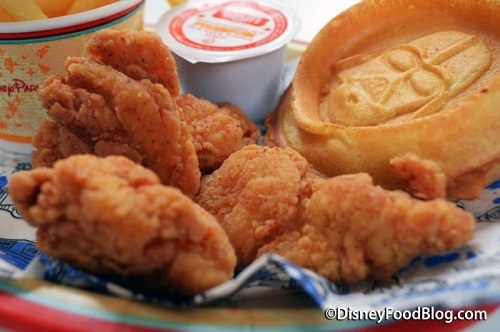 This dish features chicken nuggets and Darth Vader Waffles (which taste just like Mickey Waffles of course) and it's a must-have item if you're looking for something sweet and savory during your visit. 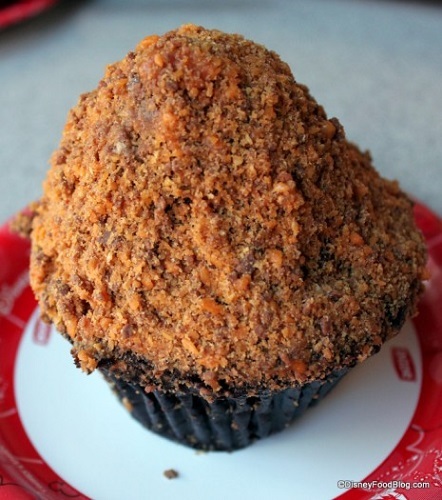 Cupcakes are one of those find-them-everywhere treats at Disney World, but there is one cupcake at the Studios that you just have to try: the Chocolate Peanut Butter Crunch Cupcake (previously known as the Butterfinger Cupcake). The chocolate cupcake is filled with chocolate fudge and topped with a dome of vanilla buttercream frosting that is topped with crushed Butterfinger candy. It's super sweet and big enough to share! You'll find this cupcake at the Trolley Car Cafe. We still call it the Butterfinger Cupcake! Speaking of cupcakes, you'll want to always check out the character cupcakes at Sweet Spells including the BB-8 Cupcake, the Darth Vader Chocolate Peanut Butter Cupcake, and holiday cupcakes. 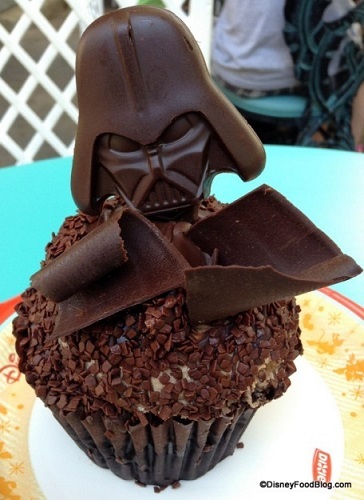 The flavors and characters will vary throughout the year (aside from the Vader cupcake) but they're always a good choice when you need to satisfy your sweet tooth! The Darth Vader Cupcake is so good! Last on our list of must-have sweet treats is a funnel cake, but it's not your ordinary funnel cake. The Funnel Cake with Vanilla Soft Serve and Strawberry Topping from Oasis Canteen is a new favorite for us. 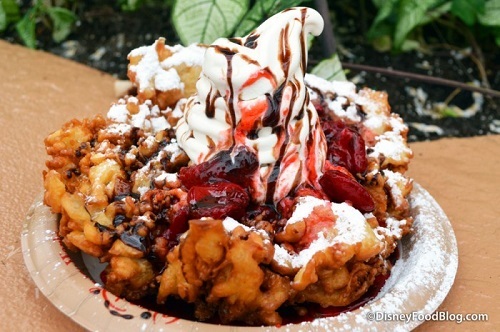 This huge snack is built with a fresh funnel cake topped with vanilla soft serve ice cream, strawberry topping, and chocolate sauce. It's big and messy (and melts super-fast in the Florida heat) but it's so worth it! We've heard of guests ordering this with the ice cream and toppings "on the side" which might cut down on the messy factor. This funnel cake is messy but so good! No matter how you order it, you'll want to share this with friends and family. And grab a lot of napkins! Those are just a few of our favorite sweet snacks at the Studios. For more snacks from Disney's Hollywood Studios check out the DFB Guide to Animal Kingdom and Hollywood Snacks e-book! What's your go-to sweet treat at Disney's Hollywood Studios? Let us know in the comments. SO much love for the carrot cake cookies.